Quilt: The Sequel! - Super Inky! Today I had the first of many special birthday treats. Before rehearsal (that's right, before. Yes, it was a super busy day for me!) my moms took me to see the cinema simulcast of the Bolshoi Ballet's The Sleeping Beauty! Svetlana Zakharova played Princess Aurora- and Prince Désiré was danced by an American- David Hallberg! The simulcast was at a movie theatre in Times Square. It was really funny to be eating popcorn while watching one of the world's best ballet companies!Then, it was off to Lincoln Center for my rehearsal. This afternoon, when I came home from my Nutcracker rehearsal, I was all tuckered out. The show is opening next Friday (my cast starts on Saturday), so there have been lots of rehearsals and last minute costume fittings. Still, when I walked into my room, I couldn't help but notice something new and different! A new quilt! It matches my other quilt perfectly. 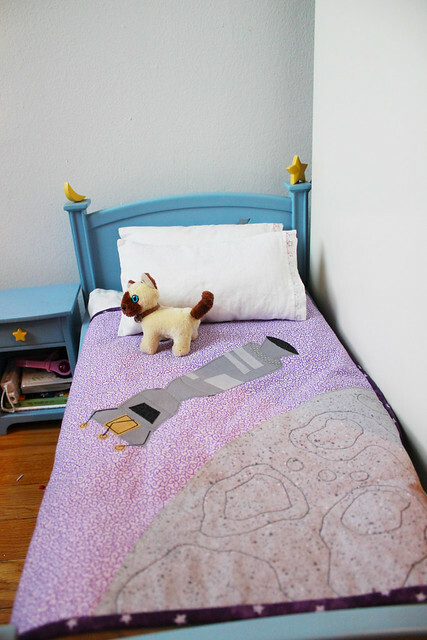 My old quilt (see this post) has Sputnik and Yuri Gagarin's Vostok ship in orbit over the Earth. The new quilt has Apollo 11 in orbit over the moon! I love the quilted detail of the craters and rocks on the moon's surface. There are even perfect little detailings on the ship itself! Plus, it matches my first quilt perfectly- the background (space) in both is the same beautiful purple. I knew right away that it was from my Auntie Smeegol, who made me the first quilt too. I ran to show my moms and they told me that the quilt was so special that no one wanted to wait for my birthday to give it to me. Of course, I had to look over at my calendar. 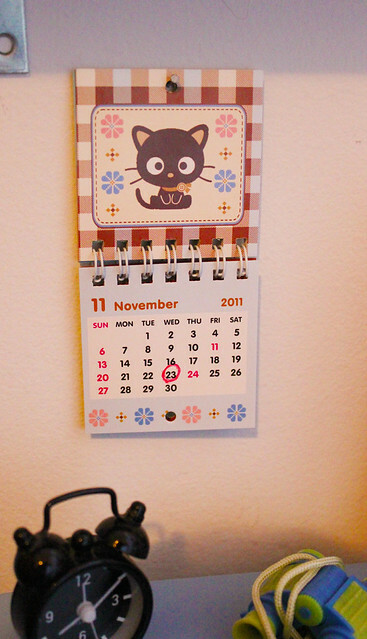 Today is November 20th- and my birthday is circled on November 23rd. Only 3 more "get-ups!" I won't have my party until Sunday, because many of my friends will be celebrating the Thanksgiving holiday. I'm getting really excited for my birthday! 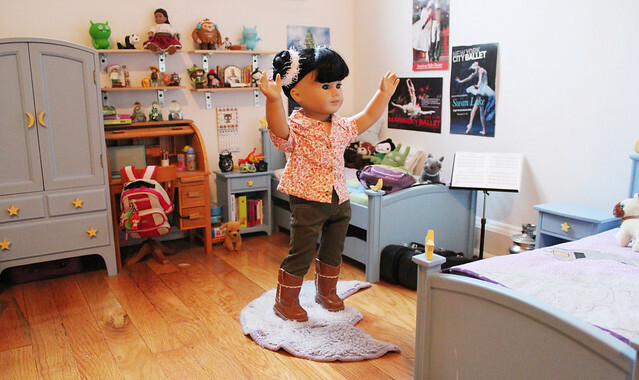 One thing about Nutcracker season is that I'm too busy to mess up my room! I took a photo of it so I'll remember how it looks when it's not covered in piles of clothes, stuffed animals, and stinky old leotards and tights! Actually, now that I look at my bed, I can see it's great that I have a new quilt for my second bed- there are so many stuffed loveys on my bed that some of them will definitely need to move to the other bed. Four more days until Thanksgiving. My family doesn't celebrate the holiday, but I'd love to know if you do. Do you celebrate Thanksgiving? If so, what do you do? Your quilt is so awesome, Inky! I love it. Such cool details, and very unique. We celebrate Canadian Thanksgiving, so our holiday is already over. We celebrate it by having a nice big turkey dinner, and thinking and talking about all the things we're thankful for. Your quilt is so cute! That is such a unique and great idea for a quilt, too. Since Thanksgiving isn't acknowledged, it will be like any other day for me. We have fun eating a big thanksgiving dinner with turkey and all kinds of other dishes and deserts. They we spend all afternoon and night playing games and munching on leftovers. It is fun to get together with the cousins and play games, we have tons of fun while the grown ups play hand and foot card game over and over. LOL!! This year will be our first Thanksgiving with our new cousins, they were not adopted yet last year. Your quilt is awesome and that is so kewl that you got one so that both beds in your room coordinate I love all the detail in your quilt, that is so very special for your gift. Happy Birthday, not sure if we will be on here on your birthday because we will be at the cousins already. Your quilt is too cute, Inky! I love the pictures :) have fun at your rehearsals! My sister's birthday is November 23rd as well! What a coincidence! I love your new quilt; it's beautiful! I love your quilt, Inky!! it's so nice! yes, i do celebrate Thanksgiving. We'll be going to my grandma's house! 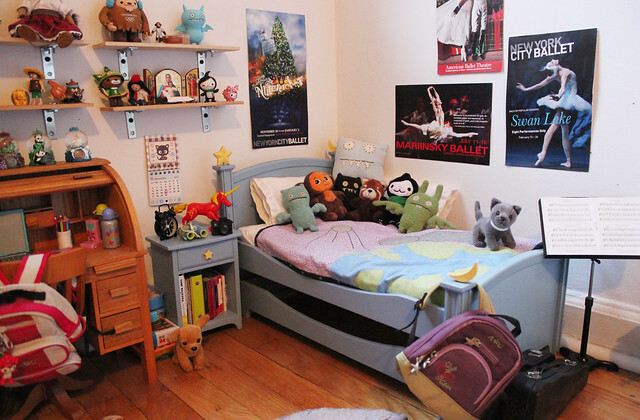 your room, calender and boots are so amazingly adorably awesome! Did you get the ugly doll pillow for your b-day? Lovely Lanie, my Ugly Doll pillow was a present last year from my friend Piper. I guess I just haven't taken a photo of my room in a long time, so it hasn't shown up. Do you have a bedroom? You should share photos on your blog! Love your new quilt, Inky! That's such an awesome gift. What do you do on Thanksgiving, since I guess even though you don't celebrate it, you still have it off of school? I grew up celebrating it, everyone came over to my house and my grandmother made everyone a big dinner. Aedon's family doesn't celebrate Thanksgiving even though half of them are Americans, though, because Aedon said it "celebrates oppression". They always go see a movie, instead. Aurora, we usually do something as a family. This year we might go see the Muppets movie. I am homeschooled, so it doesn't really affect my school schedule. We don't celebrate Thanksgiving for similar reasons. I heard you might be moving- is it true? Hi Inky, Happy birthday! Your room is so unique with the purple and blue. I love all your little toys in the room. Hope you have a happy birthday! I admire your room, I'm absolutely eifersüchtig! What are you in the Nutcracker??? I do the Nutcracker where I live, and I'm a polichinelle. Our Nutcracker has Clara instead of Marie. where did you get the posters and the shelves?